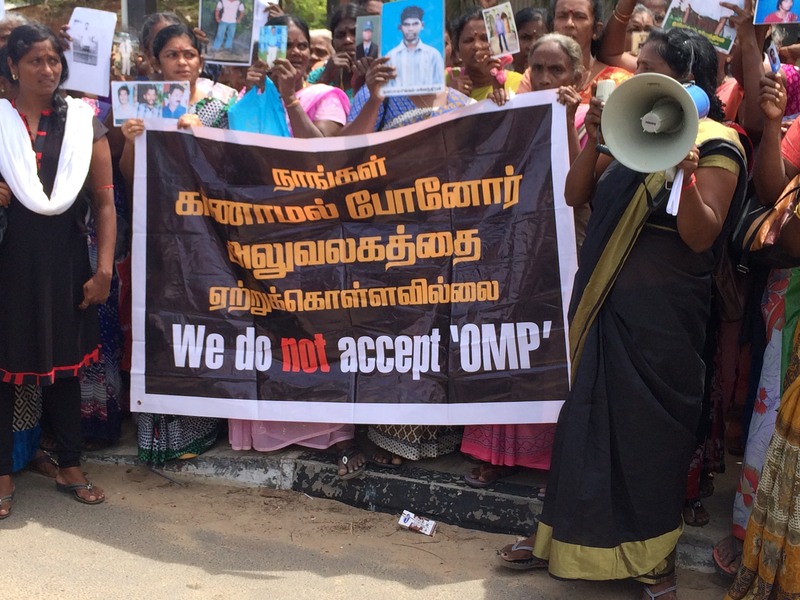 Tamil families of the disappeared protested at the Office of Missing Persons (OMP) hearing in Jaffna this morning. Boycotting the hearing, families said they have no faith in the commission, which they believe will be like the several commissions before it in which they have also testified. A significant presence of intelligence officers were noted at the protest and meeting, who were seen taking photographs and noting down information about the protesters. Speaking to reporters at the protest one mother said, "one of my sons was shot dead, the other son was taken away." "I have been wandering around like a dog behind everyone searching for my child," she said. "There is a limit to patience. We have crossed that limit. We do not need any of your help. We just want our children." "This government does not care about this even a little." Echoing her anguish another mother said, "we have no more tears to cry". "You say we are shouting and disrupting [proceedings]. If your children went missing would you do nothing?" "From time to time you come saying you're investigating. Are you also human?" "My son was abducted in 2007 in Thirunelveli. I live alone. I don't even have anyone for solace. How many more years will you make us cry like this?" "Please disclose information about our children," she cried. 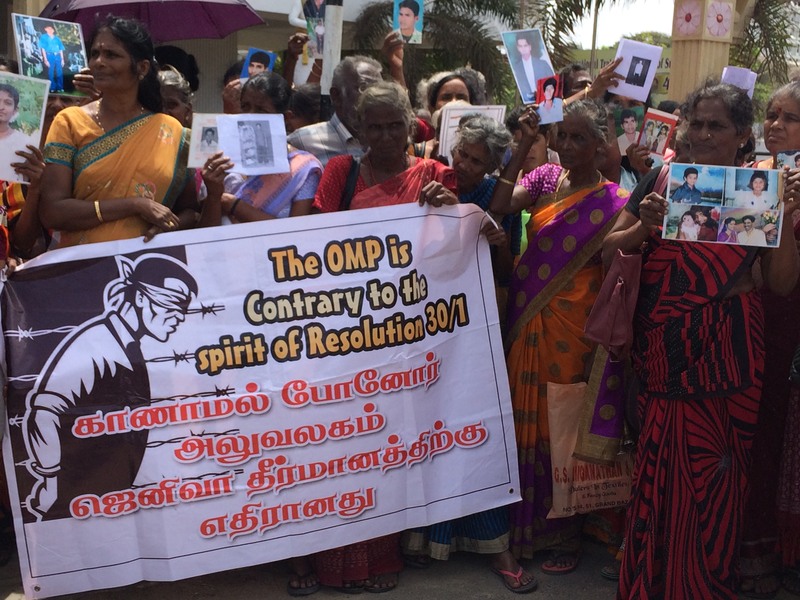 The protestors, led largely by Tamil women, were carrying photographs of their disappeared loved ones and also demonstrated inside the venue where some families had also gathered to take part in the hearing. Dozens of families gathered outside the Veerasingham Hall in Jaffna where the OMP was meeting.